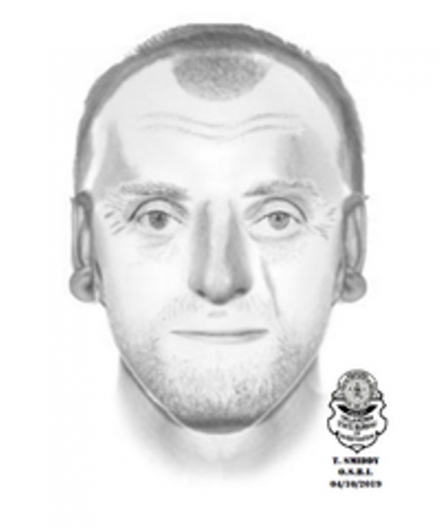 APRIL 10, 2019 - This past Saturday evening April the 6th a violent sexual assault occurred in a wooded area on the north west side of Comanche lake. The victim sustained some serious injuries none of which were life threatening. The victim was severely beaten and sexually assaulted. The OSBI is in process of getting a composite drawing of the suspect, as soon as this is available, it will be released to the press. We contacted the Stephens County Sheriff’s Office to assist us in the investigation. Both the Comanche Police Department and the Sheriff’s office are actively searching for the suspect, the OSBI was contacted to process the crime scene. The OSBI conducted a thorough investigation of the scene, where evidence was recovered that will be used in the investigation. Vertical scar on left cheek just under eye. Large deep bite mark on chest from victim. At the time of the Assault he was wearing a dirty white Murray State T-shirt (letters where blue). The investigation is ongoing and due to the nature of the crime that is all for now. I would like to thank the Duncan Police Department for their help on the evening of the incident and the OSBI for their thorough investigation of the scene. I want thank the Stephens County Sheriff’s Office for their ongoing help in the investigation. If you have any information about this crime or any Information about the suspect please call the Comanche Police Department at 580-439-2211 or the SCSO at 580-255-3131 or Crime Stoppers at 580-252-INFO (4636).